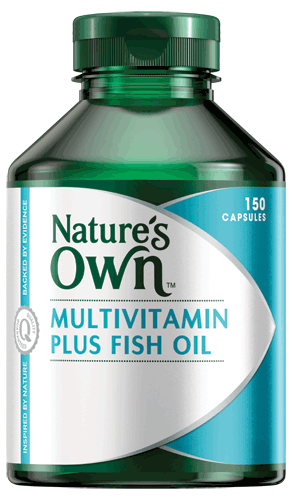 Multivitamin plus fish oil has been formulated for busy people who may be lacking in essential vitamins and minerals or seeking to increase their intake of fish oil to top up their omega 3 levels. Our formulation experts, including naturopaths and development chemists, carefully crafted this formula to create a specialist multivitamin inspired by nature, backed by evidence and tailored to your body’s needs. We included 17 key vitamins and minerals that are important for normal bodily functions and the maintenance of general health and wellbeing, plus fish oil as a valuable source of omega-3 fatty acids. Nutrients that busy people may not be getting from their diet alone. If symptoms persist consult your healthcare professional. Vitamin supplements should not replace a balanced diet. Contains beeswax. for everyday energy and general wellbeing. 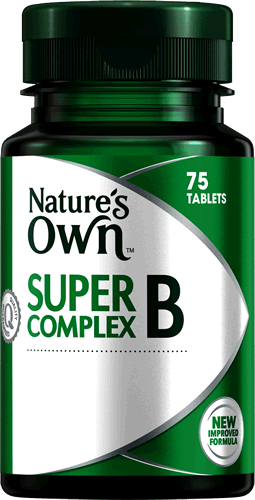 Take 2 capsules daily with food or as recommended by your healthcare professional. Learn about Multivitamins supplementation and the health benefits that Multivitamins can give to your body. Click here to find out more. What does your body want?